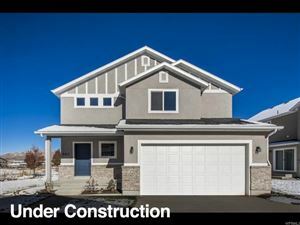 To live in Santaquin Utah starts with Custom MLS Search in our Santaquin UT Real Estate Guide to find homes for sale, condos, houses in Utah County Area Real Estate. Santaquin is a city in Utah and Juab counties in the U.S. state of Utah. It is part of the Provo–Orem, Utah Metropolitan Statistical Area. The population was 9,128 at the 2010 census. According to the United States Census Bureau, the city has a total area of 2.6 square miles (6.8 km²), all land. It is located south-east of Utah Lake. This climatic region is typified by large seasonal temperature differences, with warm to hot (and often humid) summers and cold (sometimes severely cold) winters. According to the Köppen Climate Classification system, Santaquin has a humid continental climate, abbreviated "Dfb" on climate maps. Santaquin, one of the early settlements along the Salt Lake Road, was originally settled in late 1851. It was originally named Summit City because of its location at the summit of the divide between Utah Valley and Juab Valley. Summit City was settled by pioneers who were helping settle nearby Payson to the north. In 1856 it was renamed Santaquin for the son of Guffich a local native chieftain friendly to the settlers. The search below shows listings for Single Family, Multi Family, Duplex, Townhouse, Condo, and Recreational houses with newest listings first in Santaquin only, new listings are updated every morning at 9:00am. Please click on the save search button below and you will receive these Santaquin New Listing updates daily and may unsubscribe anytime. Listing provided by Smart Moves Realty Inc.